Other article about ESP32. 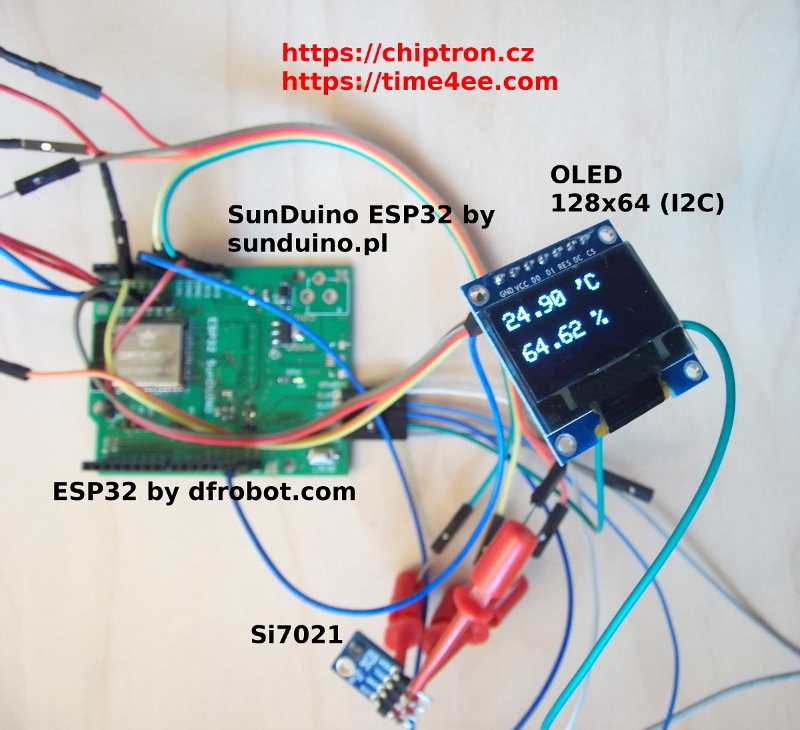 We again connect ESP32 to temperature/humidity sensor Si7021 (HTU21), but today we also connect OLED where will be showed data from sensor. The OLED has 128x64px resolution and communication bus is I2C as well as Si7021.